Darice is an undergraduate at the University of California, Merced where she is pursing a degree in Public Heath with a Minor in Psychology. 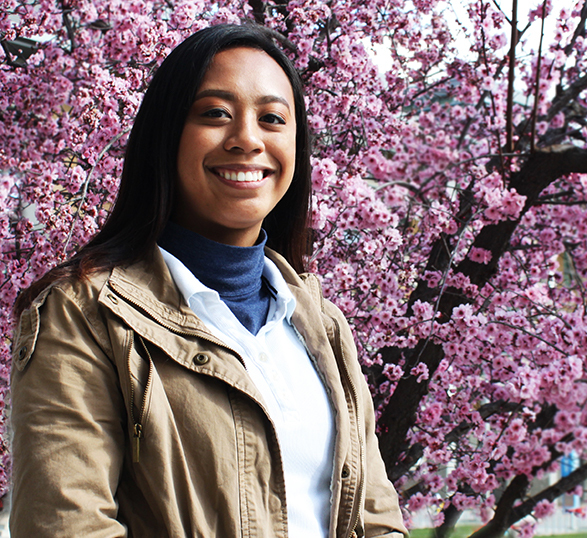 Darice Espino is an Assistant Communication Specialist to the Program Coordinator, Leigh Bernacchi. She is in charge of the website, newsletter, and social media campaigns for UC Water Security and Sustainability Research Initiative headquartered at UC Merced. Darice grew up in center of Los Angeles, California. She is currently working on a degree in Public Health with a focus on Environmental Health. Growing up in the city has exposed her to a pool of various civic engagement. From there, she built her interest in pursuing the field of public health to improve access to clean water, hygiene, and sanitation to provide basic needs to the socioeconomically disadvantaged groups.